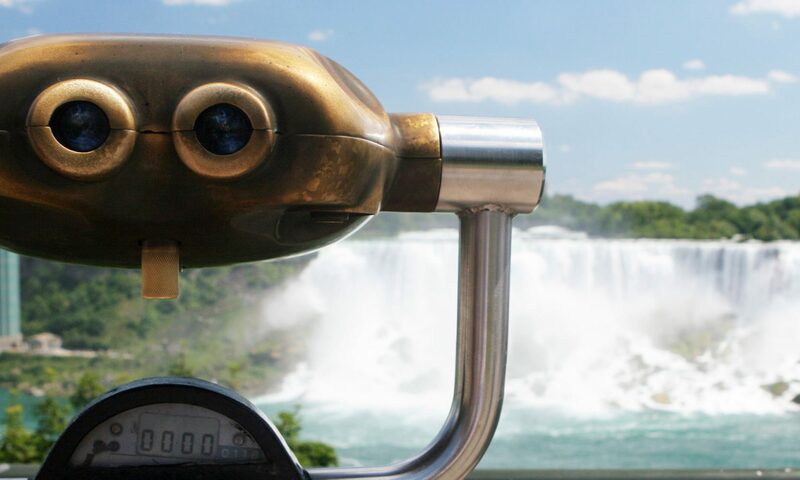 In 1782, Phillip George Bender and his family became the first settlers in Niagara Falls. A native of Germany, Bender and his family had settled in New Jersey until the American Revolution forced them to seek refuge with the British in Niagara. Bender had joined Butler’s Rangers and provided loyal service for five years. Upon his discharge, and as a reward, Bender was offered his choice of land for settlement along the west bank of the Niagara River. Bender chose land just north of the Falls. His property stretched length-wise from present day Robinson Street (south) to Seneca Street (north) and width-wise from the Niagara River (east) to Stanley Avenue (west). Bender built a stone house which was located just south-east of the present Casino Niagara, which was destroyed during the War of 1812. Bender operated a farm and a quarry. The quarry was located just above the Niagara Gorge and was located at the current site of the Niagara Falls Museum at Bender Hill. Limestone quarried from this site was used for the towers and retaining wall of the Railway Suspension Bridge. Some of the limestone from Bender’s Quarry may be found today at the entrance of the Whirlpool Rapids Bridge. Bender and his wife are buried at the Drummond Hill Cemetery in unmarked plots.